Caspian Tern showing off its reddish bill and gray upper side. 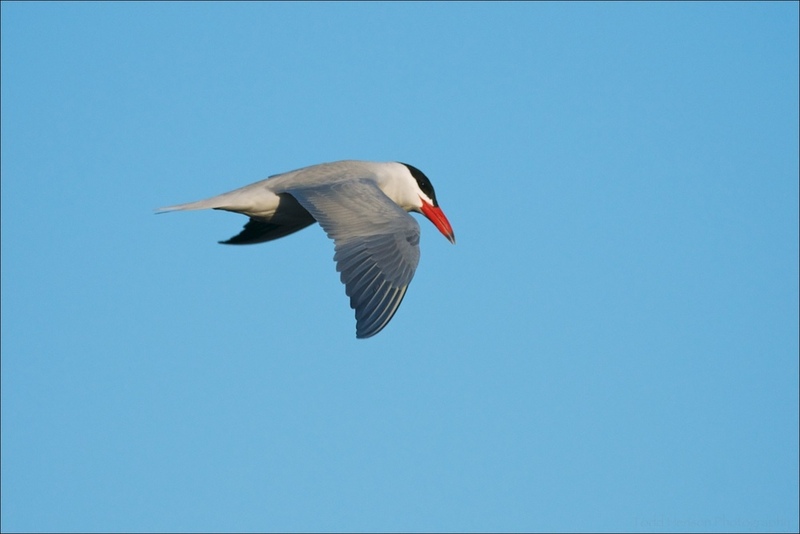 Caspian Tern are sleek and graceful waterbirds who can often be seen flying above water and diving for fish. Terns are similar in some ways to gulls, but are more sleek and angular. The Caspian Tern stands out from other tern by its very reddish bill with a dark patch near the tip. The body of the Caspian Tern is white and its wings are largely gray. The underside of the wings darken toward black near the tips. Breeding Caspian Tern have a large black patch on the top of their head that covers the eyes and meets the top of the bill. Caspian Tern showing off its white underside and the gray wings that darken to black near the tips. Caspian Tern preparing to eat a small fish in flight. 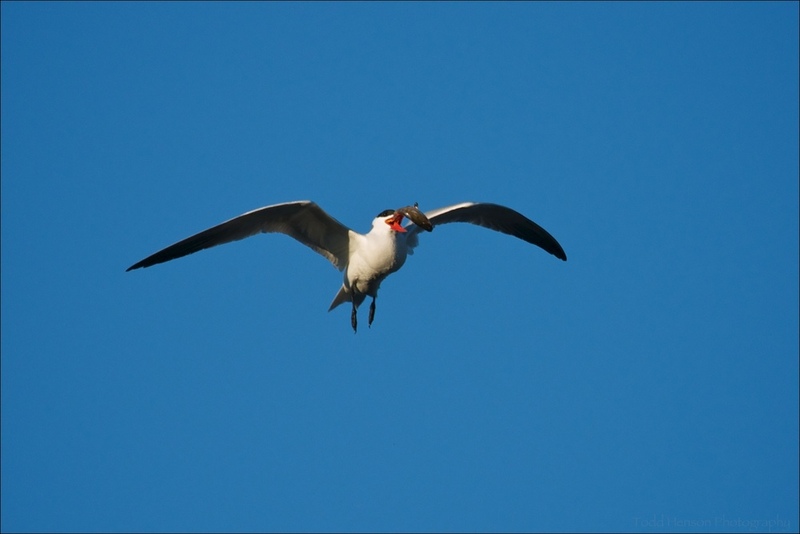 The Caspian Tern in these images were photographed in early April, 2011. They were flying up and down the bay watching the water. Occasionally they would dive for the water and come up with a small fish, which they would swallow while in flight. Fascinating birds to observe and photograph. Pair of Caspian Tern in flight. The out of focus Tern in the background is carrying a fish.